As Amazon continues to flesh out its smart home division (and put Alexa in nearly everything), the company has announced a new acquisition that will significantly bolster its offerings: the Seattle-based tech giant is buying mesh Wi-Fi company Eero for an undisclosed sum. The savvy deal follows Amazon's acquisition of smart security company Ring last year and allows the company to broaden its already large connected footprint within customers' homes. 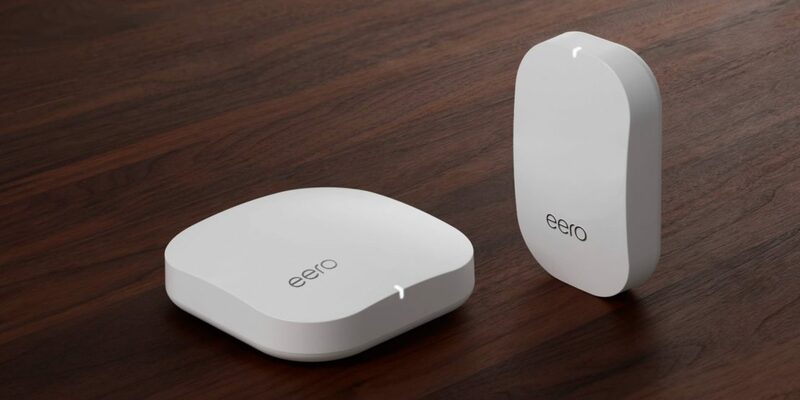 Eero was one of the first companies to usher in mesh Wi-Fi for consumers and is among the chief competitors to Google Wifi. The main benefits of a smart mesh system (which employs multiple physical nodes placed around the home) are better coverage and reliability. Mesh Wi-Fi systems also let owners use a connected app for easy setup and troubleshooting. In the spring of 2017, The Information reported that Google was working on a version of its Google Home intelligent speaker that has built-in mesh Wi-Fi networking. The functions seem well-suited to co-exist, and this acquisition leaves little doubt that Amazon is also investigating this path with its Echo devices. Amazon notes that the transaction is subject to customary closing conditions. From the wording of the press release it seems the Eero brand name will live on for the time being. However, while the branding may live on, Eero fans will no doubt have (well-founded) fears that future products will be confined to the Amazon Alexa ecosystem, limiting their use. Some Eero customers will also no doubt lament the fact that this move will put more personal data in the hands of one the world's largest tech companies.